For the past 28 years, the Xaverian H.S. community in Bay Ridge has engaged in an autumn tradition by coming together in mid-September to honor the memory of a hero. That hero however is not a current or former professional athlete – many of whom are often viewed as heroes in today’s society. No, instead this hero was simply doing his job. And he was so dedicated to his job that it cost him his life, which he sacrificed for the safety of others. Police Officer Christopher Hoban, a 1980 graduate of Xaverian, is a hero. On Sept. 18, Xaverian hosted its annual P.O. Christopher Hoban Memorial Five-Mile Run, which started and finished at the school while traversing the Shore Road Promenade bicycle path and Third Avenue. 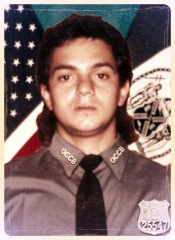 The race celebrates Hoban’s sacrifice, when on Oct. 18, 1988, the 26-year-old officer was killed in the line of duty during an undercover narcotics operation buy-and-bust. His cover was blown when he refused to sample cocaine he was attempting to buy from three men in an apartment on West 105th Street. At that time, an NYPD policy prohibited the sampling of drugs unless an officer’s life was in danger. He was fatally shot that night. A year later, the Police Alumni of Xaverian established the race to remember Hoban, who also attended Our Lady of Perpetual Help parochial school, Sunset Park. 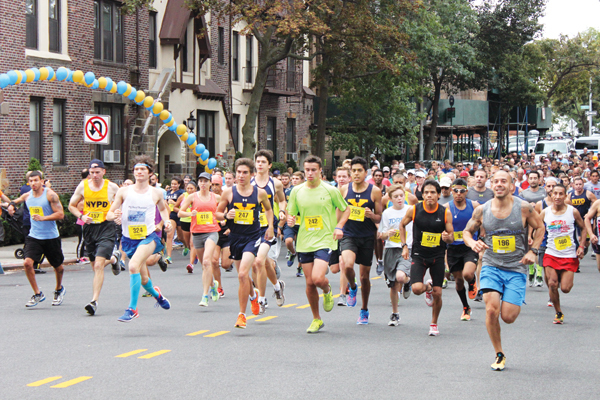 In addition to remembering Hoban’s legacy, the Xaverian community gathers each fall for the race in order to honor all NYPD officers who have chosen a life of service to protect others. For his continued dedication to the annual race, Alesi received a special award from the Hoban Race Committee as well as certificates of recognition from New York State Sen. Martin Golden and New York City Councilman Vincent Gentile. “So many young men and women have had the opportunity to go to Xaverian in my brother’s memory to get a Catholic education that myself and my brother had the opportunity to have,” Martin said. The street outside the school – 71st Street – was renamed P.O. Chris Hoban Way, which further keeps alive Chris’ memory. And there are reasons why we remember his name. Not only do we remember Hoban’s devoted sacrifice to his city, but we also remember how Xaverian has preserved the legacy of one of its own. Out of the tragedy of death has come the birth of a true hero.